A rising star on the Brit-rap scene is Hackney rapper, Maverick Sabre. I'm sure I've probably cobbled that description together for several other like-minded individuals, minus the 'Maverick' and 'Sabre' bit. In truth, Michael Stafford (real name) isn't really a rapper, he's a soulful crooner who, if you weren't watching one of his You Tube videos, would swear came from the same family as Finley Quaye, Ed Sheeran and reggae-legend Horace Andy. Don't believe me? Check Quaye's "Sunday Shining" out on You Tube (actually, Finley's debut album was coincidentally entitled "Maverick a Strike"). And Sabre might look a bit 'Phil Mitchell', but he certainly doesn't sound like him (well, not when he's singing at any rate). 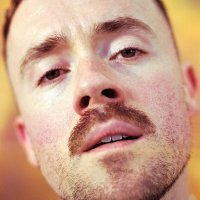 However you think he sounds, Maverick Sabre has had a hard and fast year since guesting on Professor Green's "Jungle" single and True Tiger's minor-hit, "In the Air". His own debut release, "Let Me Go", heralded his musical intentions with some aplomb - it earned him a Top 20 singles chart-placing, a feat that was soon to be repeated by last week's follow-up release, "I Need", a brooding shoulder-rolling anthem that might show people his more sensitive side. Next year promises to be an even busier chapter in the young man's life with his debut-album poised for release in January (it's called "Lonely are the Brave") and a UK tour with fellow Brit-soul and rap star, Ms Dynamite joining him on all dates. The first stop is Glasgow on 1st March, followed by Leeds, Manchester, Cardiff and the usual big cities until London's Roundhouse on the 10th. We will have tickets on sale from 9am on Friday morning, with prices at £12.50 (£15 for London).